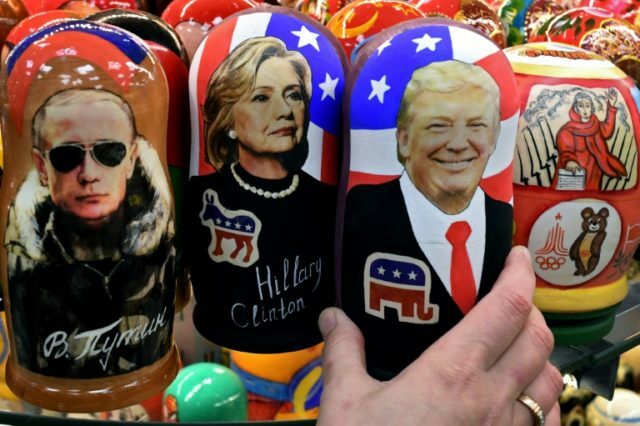 Yesterday’s revelations that Clinton and the DNC were behind the Trump Russia dossier has resulted in objective observers agreeing that this should create considerable skepticism as to the validity of the report, much of which could not be verified despite efforts of many in the media (and presumably now Robert Muller). Some Clinton partisans have tried to ignore the significance. It is amazing how they will ignore well documented evidence of Clinton’s dishonesty while saying we should believe a report about Donald Trump which was commissioned by the Clinton campaign and which could not be verified by independent sources. Besides, there is enough evidence as to how rotten Donald Trump is in his own Twitter feed, leaving no reason to make up more. Some of the pushback on the left has focused on the fact that a still-unidentified Republican client retained Fusion GPS to do research on Trump before the Clinton campaign and the DNC did. Thus, they argue, it’s wrong to say the dossier was just funded by Democrats. But The Post is reporting that the dossier’s author, Steele, wasn’t brought into the mix until after Democrats retained Fusion GPS. So while both sides paid Fusion GPS, Steele was only funded by Democrats. After the story posted, some on the right seized upon The Post noting the FBI had agreed to pay Steele for information after the campaign. The argument seemed to be that the FBI was engaged in a witch hunt against Trump using Democrats’ sources. >Despite there being no proof the FBI actually paid Steele, Trump suggested it might have in a tweet last week — along with “Russia . . . or the Dems (or all).” Of those three groups, only Democrats have been reported to have actually paid Steele. And again, that was already kind-of known. There is, presumably, a reason Democrats haven’t copped to funding the dossier — something they still haven’t publicly confirmed. Fusion GPS threatening to plead the Fifth Amendment against self-incrimination raised eyebrows last week, for instance. First among those reasons is paying a foreigner for opposition research for an American political campaign. Given Democrats’ argument that Russia’s interference on Trump’s behalf was beyond the pale, the Clinton camp and the DNC paying a Brit for information would seem somewhat problematic. It is also notable that this revelation of a second episode of the Clinton campaign working with foreigners to affect the election results also came shortly after a new report on the Clintons accepting bribes from Russia. Now, however, we know that the dossier’s research during much of 2016 was funded by a top lawyer working for the Clinton campaign itself. That of course doesn’t necessarily mean the information in it is deliberately false — campaigns usually try to dig up opposition research that is true, if they can. But it certainly presents the possibility that the research of the dossier and subsequent circulation of it were more akin to a dirty trick than a genuine, disinterested effort to find the truth about Trump and Russia. After all, if a campaign hires a firm to find dirt on their opponent, that is what that firm will try and deliver, even if what they turn up is dubious or thinly-sourced. Overall, viewing this uncorroborated document very skeptically was always a good idea, and the fact that its funders were Trump’s biggest opponents only makes that more the case. This all basically provides further evidence of what I argued throughout the election that the race was between two of the worst people in America. It also casts further doubt on the validity of Clinton’s claims regarding Trump and Russia. Update: The Campaign Legal Center has filed a complaint with the FEC arguing that the Clinton campaign’s failure to disclose their funding of this report is a violation of campaign finance laws.